Three years have passed since I reviewed Windows 7. The OS was well received but, after the Vista debacle, Microsoft’s flagship OS could only get better. 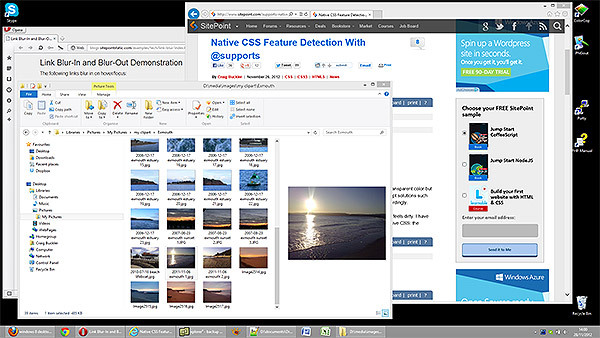 Can Windows 8 improve user perceptions further? Microsoft sold four million copies of Windows 8 in first four days and 40 million in the first month. Depending on who you believe, sales are either sluggish or out-pacing previous editions. While you’ve probably seen many Windows 8 reviews, I wanted to impart my impressions after using it daily since its launch on October 26. I’m using Windows 8 Professional on a standard PC with dual monitors (not touch-screens), keyboard and mouse. For the record, I’ve been using Windows since version 2 and MS-DOS prior to that; I like to consider myself reasonably competent at navigating Microsoft’s Operating Systems. This is a long review split into three parts. In part one we’ll look at pricing, installation and the new interface. Part two discusses software, security and stability. The final summary covers productivity and performance. Windows 8 pricing is competitive compared to its predecessors and discounted until February 2013. If you’re happy to download a 2.6GB ISO and burn your own disks, head over to Windows.com where you can upgrade from any version of XP, Vista or 7 to Windows 8 Pro for $39.99 / £24.99 / 29,99€. Those who bought a PC recently can save a little more money at windowsupgradeoffer.com. As you’d expect, Windows 8 installation is relatively pain-free. You can select to upgrade from XP, Vista or 7 but I’d always recommend a clean install to de-clutter your hard disk. Answer a few options and Windows 8 will be booting 30 minutes later. Windows 8 is based on Windows 7; you’re unlikely to suffer from driver compatibility issues and the installation recognizes most hardware. In theory. I was initially missing sound until a BIOS update arrived but, admittedly, this was on a new PC. Most devices were recognized without issues. Finally, Windows 8 may be a new OS, but Microsoft has already issued a plethora of updates. Be prepared to download a gigabyte of patches following your first boot. 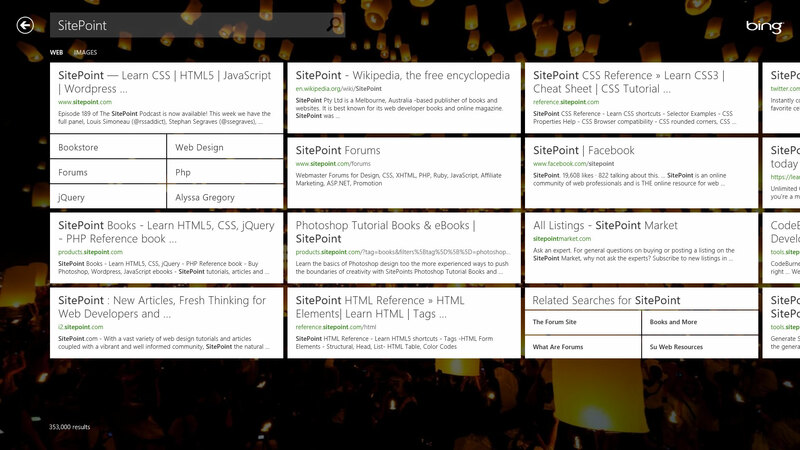 The interface is the primary reason you’ll either love or hate Windows 8. From here on, I’ll be referring to the tiled Start screen and apps as “Metro”. Microsoft cannot name it that for legal reasons, but I life’s too short to refer to it as “Windows 8 UI style”. Tiles are either shortcuts to standard applications or Metro Apps which can feature live, automatically-updating information such as weather reports or stock prices. You can rearrange tiles by dragging or right-click to resize, remove or uninstall. Lurking behind Metro is the standard Windows desktop. You can switch to it using the ‘Desktop’ link, the Windows key on your keyboard or launching any standard (non-Metro) application. 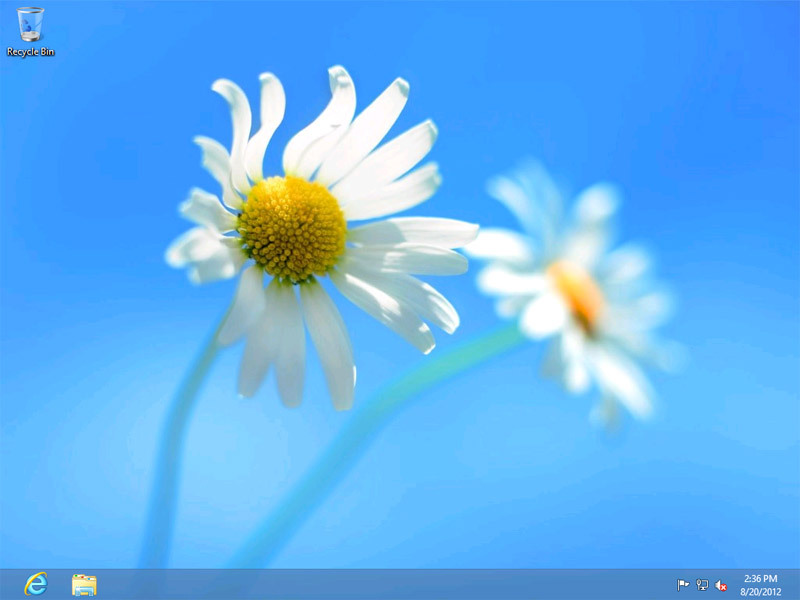 While Windows 7 features such as taskbar pinning, jumplists and (Aero) peek are available, Microsoft has de-cluttered Windows to remove features no one used. Like the Start button. Start has been a core part of the OS for 17 years but it can rapidly become a jumbled mess of random application links. That said, I’m one of those people who actively organized shortcuts into a logical hierarchy and I missed the Start button initially. However, you’ll find yourself pinning essential shortcuts to the taskbar and desktop — it soon becomes a distant memory. 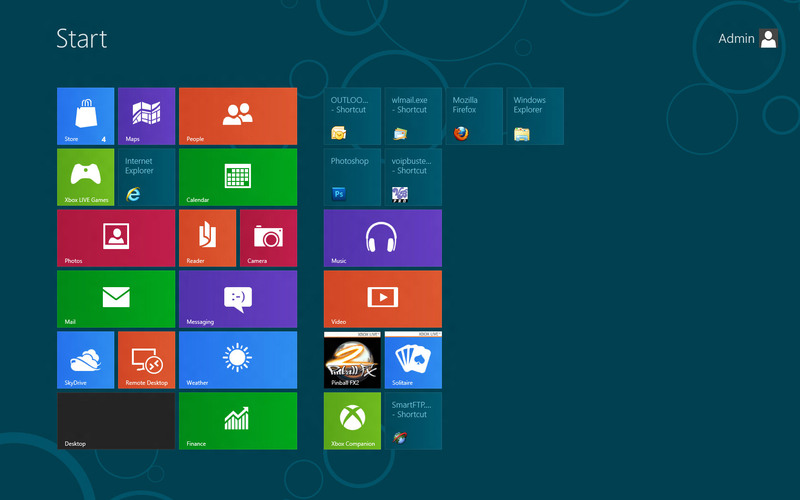 The Windows 8 Metro Start screen is the new Start button. You can return to Metro by clicking your keyboard’s Windows key, moving the mouse to the bottom-left of the screen and clicking the popup, or opening the Charms menu and clicking the Start icon (Win+C or move the mouse to the top or bottom-right corner of the screen). It reminds me of Windows Home Basic or — dare I say it — Windows 3.1. It’s reasonably attractive and you can make basic changes to the color scheme but, as the screenshot above illustrates, it can be a little difficult to determine window edges. I often find myself changing the dimensions of the wrong window. The Windows Store offers many more. Apps can also be docked to the left or right of the screen so you can use two at once. While Metro apps may be useful for smartphones and tablets, I dislike them on a PC. The first problem: other than games, how many apps do you want to run full-screen? A typical example is Skype — the standard desktop interface isn’t great but the Metro edition is shocking. Even on a 24″ monitor, you can only view around six contacts at a time and it’s impossible to chat, send an instant message or upload a file at the same time. This isn’t necessarily an issue on smaller devices where you’re performing a single task, but is fundamentally flawed on a multi-tasking desktop PC. Another irritating problem: all Metro apps show a splash screen. Why do I need to see a full-screen calendar icon immediately after I’ve clicked it? It may only appear for a second or two, but it’s impossible to switch it off. Next issue: Metro apps scroll horizontally. Again, this possibly feels more natural on a tablet where you can swipe, but it’s bizarre on a PC. For example, your mouse’s vertical scroll wheel moves the screen left and right. Discover-ability is another flaw. I’m all for simplifying interfaces, but Metro apps often favor simplicity over practicality. Consider the Windows 8 Reader app. Microsoft has finally realized the world is using PDF documents and provided a built-in reader. It’s fast and reasonably slick. However, once you’ve viewed a PDF, there’s a strong possibility you’ll want to print it. But there’s no menu. Right-clicking displays viewing options, but no print icon. I thought there must be a licensing issue until a Google search revealed that I needed to open the Charms menu, click the Devices icon, choose a printer and hit ‘Print’. That’s right — a single toolbar icon has been replaced by a mouse gesture followed by four clicks. The bloated Adobe Reader is back on my system. Finally, how do you close Metro apps? You need to move your mouse to the top of the screen, click to grab the app, then drag/swipe off the bottom. Is that really better than a single click on an ‘X’ icon? I’ve started using Alt+F4 for the first time ever. Despite my negativity, there’s no need to use Metro apps. I rarely do and spend 99% of my time on the standard Windows desktop. Microsoft has attempted to create a unified operating system which works on PCs and small-screen devices. In reality, Metro and desktop mode are distinctly different interfaces and it can be jarring to switch between the two. While the tablet market is growing as quickly as the PC market falls, the new interface is disorientating for existing Windows users. It becomes easier over time but, for the first time in many years, Windows 8 made me feel like an IT novice. If you enjoyed reading this post, you’ll love Learnable; the place to learn fresh skills and techniques from the masters. Members get instant access to all of SitePoint’s ebooks and interactive online courses, like Microsoft Access and VBA.